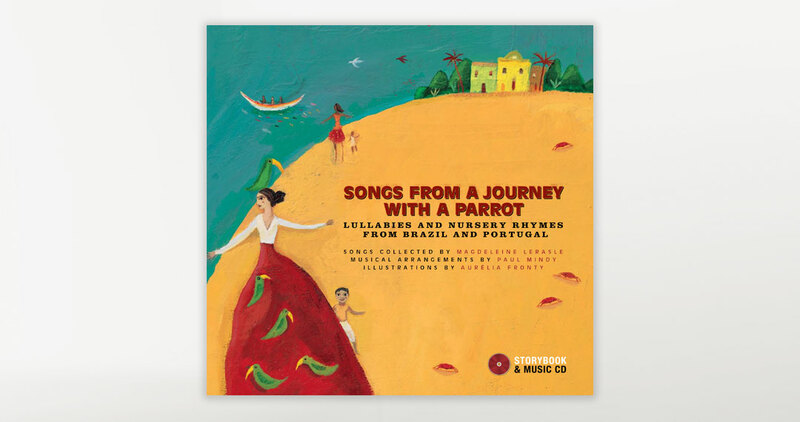 The music styles of samba, modinha, fandango, not to mention a velvety smooth bossa nova, rule in this diverse 30-song collection. This title commemorates the historical relationship between Brazil and Portugal while keeping each countries distinctive qualities. Spanning Lisbon to Bahia, Porto to Rio, a range of play time songs showcase work, play, courtship, love and travel themes. 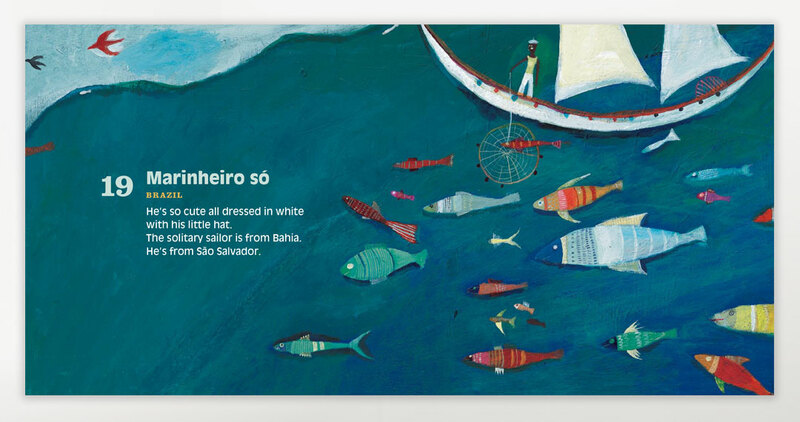 Children can take pleasure in rhyming songs, Portuguese word games, Brazilian tickling and finger games, counting songs and circle dances not to mention traditional love songs and even a sea shanty. Each melody acts as a reminder of childhood when being outdoors was the norm. The feeling of being catapulted back in time is undeniable. Discover the instrumentation of the cavaquinho and the bandolim alongside performances by women, men and children. 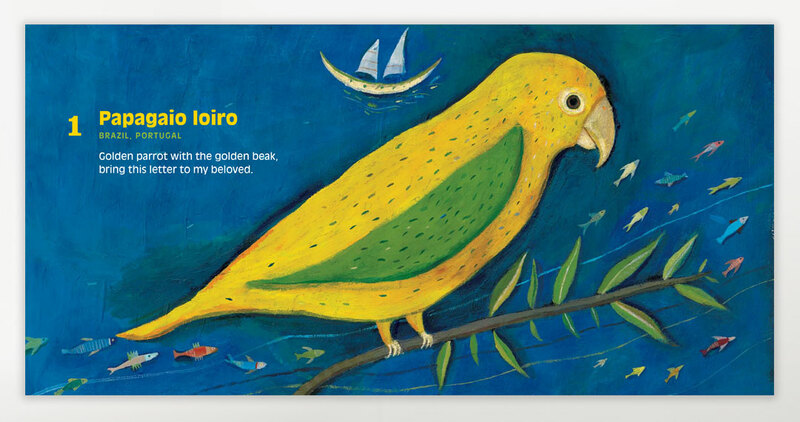 Colourful illustrations lend to the retro feel of this storybook with accompanying CD. 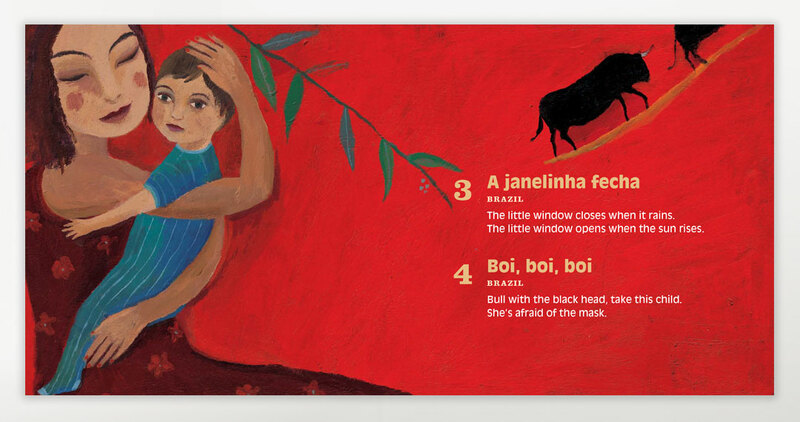 Lyrics are reproduced in Portuguese with an English translation followed by notes describing the history of each song. Madeleine’s Lerasle is an early childhood educator and researcher specializing in teaching language to children in Paris, and is also the author of Songs in the Shade of the Olive Tree. Aurélia Fronty is a graduate from the Duperré School of Graphic Arts in France. She has illustrated more than the 40 books for children, including I Have the Right to Be a Child nominated to the USBBY Outstanding International Book Honour List and Wangari Maathai, winner in the “Best Book” category at te Children’s Africana Book Awards.